Rakhel Farms is a farm located in Utica, Ohio owned by Jacob Hart. Rakhel Farms is located in Utica, Ohio, about an hour north of Columbus. 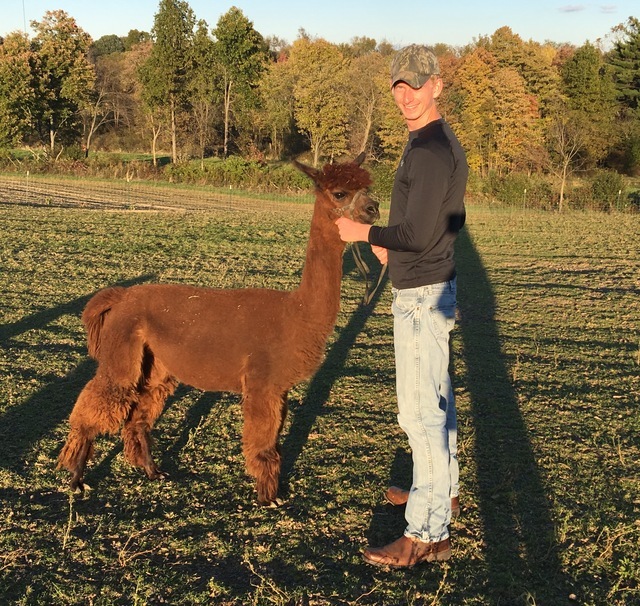 Our alpacas represent many high quality bloodlines from across the country, giving us a wide variety of genetics not found on most small farms. We use selective breeding techniques to choose the perfect herdsire for each female based on the individual needs of her fleece style and conformation. These breeding techniques help ensure that each generation of alpacas is better than the one before it. 25 percent down and then the balance in 60 monthly payments. The buyer must provide and maintain proof of mortality insurance on the financed animal. Credit card payments are gladly accepted through PayPal! All financed alpacas and their cria will remain the property of Rakhel Farms until the animal is paid in full.